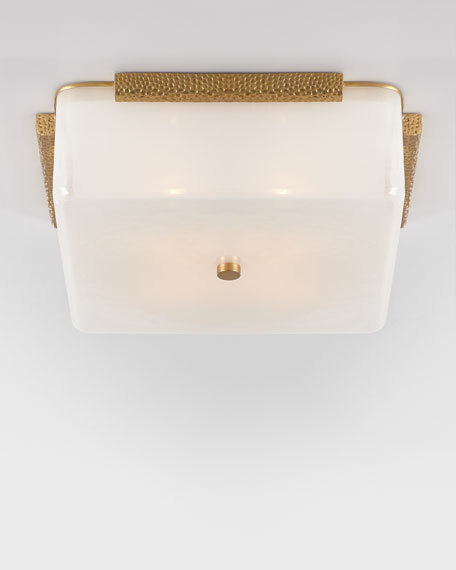 Made of white glass and brass with hand-rubbed antiqued finish. Weight, 18 lbs. Boxed weight, approximately 21 lbs.